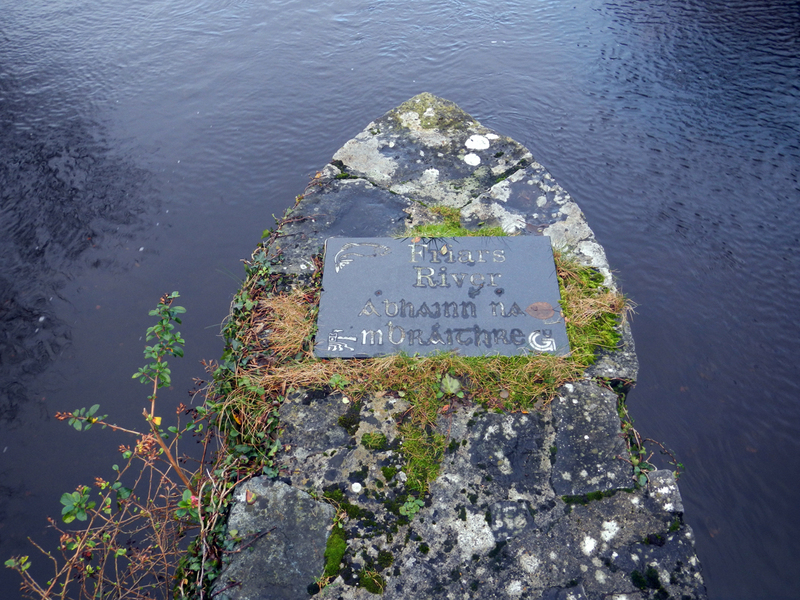 This Rihla is about the waterways of Galway and in particular the location of those places that harnessed the waterways for electricity. 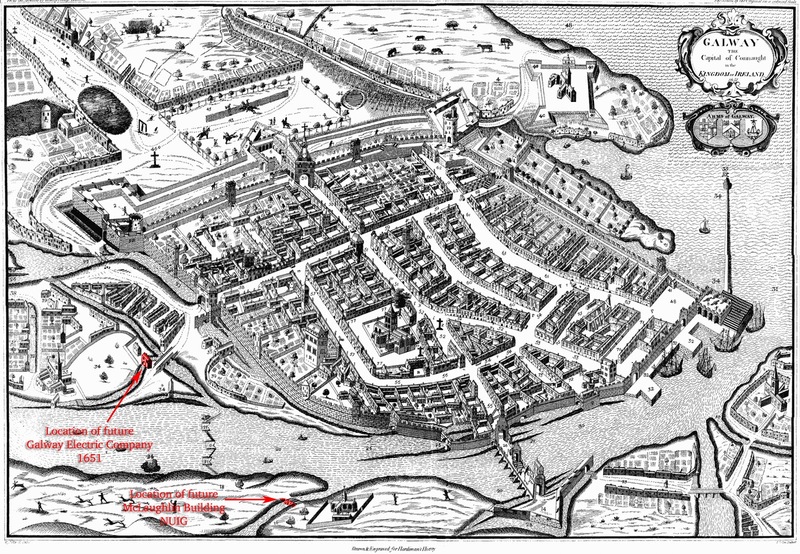 (Medieval town highlighted in sepia colour). Orientated with East to top. The Nile delta is huge and has been an ever-changing labyrinth of escape to the sea of that great river. 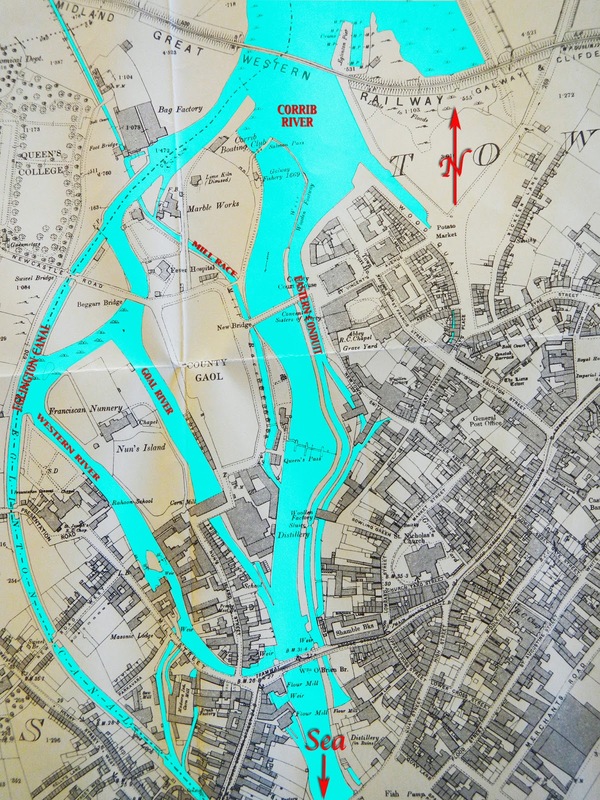 Over the millennia whole distributaries have shifted course or disappeared altogether resulting in once great communities and their contributions to civilisation being lost along the way, silting history and memory along with the watercourses. 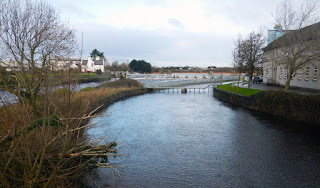 The Corrib river delta on the other hand is small and its watercourses much more defined. 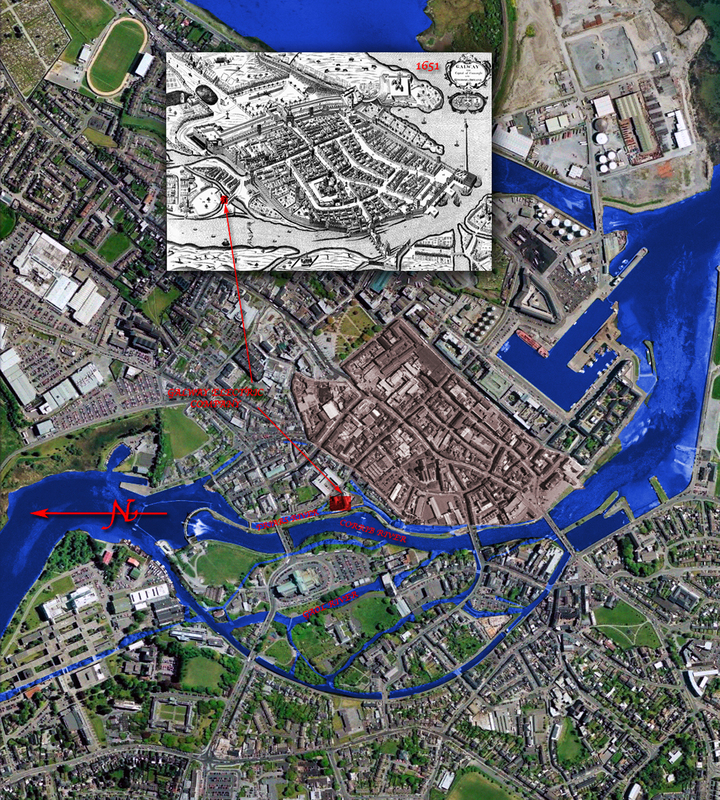 To walk and examine the entire system of waterways that surround Galway city at the mouth of the Corrib would take you a day at most. But that walk is worth it. The sand bars and shale islands of the Corrib delta were formed by ancient eddies of time and water, and the distributaries that define them have long ago been corralled in bricks and mortar by Norman empire builders, Elizabethan planters and Victorian industrialists and are tangible. The creaking lock-gates, fishermen’s jetties and rotting sluice gates that punctuate the waterways all give a hint to their story and yet even within this mini-labyrinth, even where the connection of land and water is set in stone, history and memory still have a way of getting lost. A number of years ago I returned to university to pursue a Masters degree in International Human Rights Law at the Irish Centre for Human Rights (ICHR) on the National University of Ireland Galway campus. I chose for my thesis a study of the 1987 UN Convention against Torture and other Cruel, Inhuman or Degrading Treatment or Punishment and in particular the work of the Special Rapporteurs. 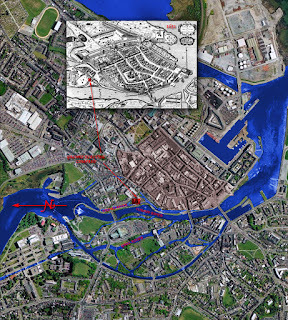 The ICHR is located in what was once a Fever Hospital directly on a major distributary of the Corrib known as the Gaol River because it flows behind (to the west) the Cathedral, which is built on land that was once the site of the 19th Century City and County Gaols. 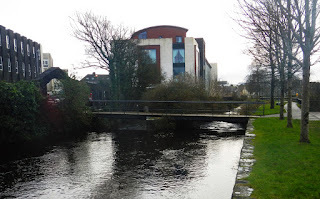 The Gaol river flowing downstream south from the Centre ends abruptly at the sluice gates of the McLaughlin Building, a former flour mill that straddled the river but which subsequently housed one of the two early sites for hydroelectric generation in the city. It’s a walk I used take most evenings after lectures when returning from the Centre to the corporation car park to the south of the Cathedral. 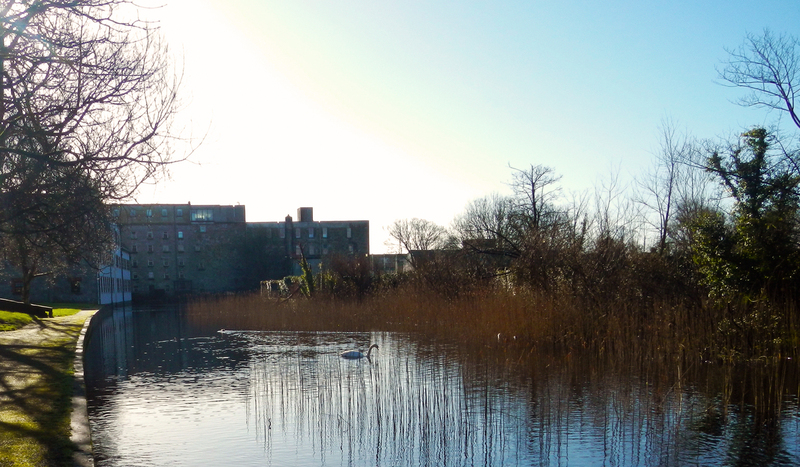 The NUIG McLaughlin Building on the Gaol River Galway. 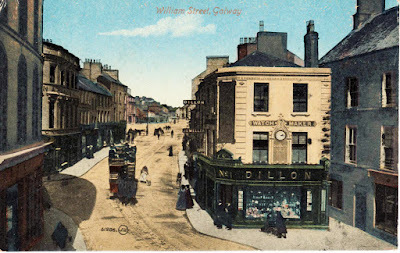 Electricity and the electrification of Galway in the late 1800s became an interesting extension to my work in the ICHR. As part of the background research for the thesis I had cause to examine the decision-making that enabled electrocution (the electric chair) become the capital punishment of choice in the USA and how the decision on what type of electricity current to use became, with the first execution undertaken by the method, a brutally cynical manifestation of a commercial battle between two conglomerates, Edison and Westinghouse for control of the nascent electrical power supply to the American market. Thomas Edison the inventor of the phonograph in 1877 formed the Edison Electric Light Company the following year to commercialise his patent of a carbon-filament incandescent light bulb. In 1880 he then formed the Edison Illuminating Company as an electrical utility, which used 110 volt direct current (DC) for its power supply. In 1884 he hired Nikola Telsa and asked him to redesign and improve Edison’s DC generators. Telsa fulfilled the brief but was then short-changed by Edison on the promised financial reward for doing so. Telsa left the Edison company in 1885 and established in 1887 the Telsa Electric Company to design an effective induction motor that would run on alternating current (AC) instead. George Westinghouse of Westinghouse Electric & Manufacturing Company bought the licence for these motors and quickly began to promote the higher voltage AC as the power supply of choice for electrification in the USA as it was becoming in Europe. 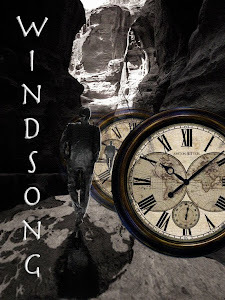 Thereafter developed the so called War of Currents between Edisons DC and Westinghouse’s AC supply which ended in 1892 with AC winning out and Thomas Edison losing control of his own company, which then became General Electric using an AC generation platform. This was perhaps commercially inevitable as DC did not transmit over long distances whereas AC could and also more cheaply as the higher voltage used smaller copper wires. 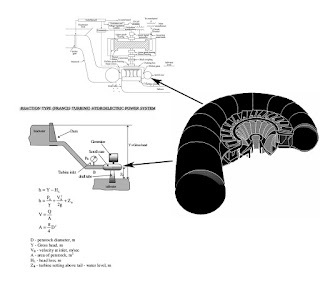 AC also had the ability to use transformers to step up or down transmission voltage at the point of usage. In the middle of this so-called war of currents perhaps one of the most despicable and cynical confrontations between the two types of power supply and the battle for commercial supremacy took place. Edison had always sincerely believed that the AC transmission system of high voltage would lead to multiple deaths. In 1886 following a series of botched executions by hanging the New York governor appointed a commission to find a form of execution more humane than hanging. The commission was chaired by Eldbridge T. Gerry and included a dentist called Alfred P. Southwick. Southwick had already proposed electricity as a form of execution as early as 1881 and he wrote as member of the committee to Edison looking for support. Edison initially declined stating he was against capital punishment but then acceded to the request and in December 1887 wrote in support and deliberately stated that AC (rather than his own DC generators) machines and particularly those manufactured by Westinghouse would do the best job. This disingenuous support was to intended prove the “lethality” of the AC system and thus would hopefully scare off customers. The report of the commission was presented to the governor and a legislative bill authorising execution by electricity was passed by the New York legislature and signed off by the Governor David Hill on June 4, 1888 to come into operation in January 1889. The bill did not specify what type of current or at what voltage the electricity should be and these aspects were delegated by the Commission to the Medico-Legal Society of New York. Edison supplied the Society the services of his best engineer Arthur Kennelly and facilities to ensure that AC would be the chosen current. Again this should not have been in doubt as published papers in Europe from 1890 had already shown the high resistance of human and animal flesh to DC application. Edison’s involvement tipped the favour in his suggestion that AC should be used. 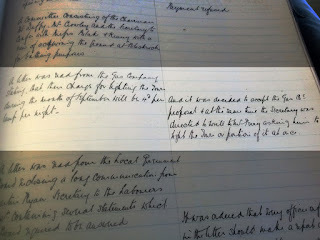 The Governor Hill then signed a bill in March 1889 authorising the purchase of machinery to perform executions by the superintendent of prisons. Westinghouse realised from early on what Edison was attempting to do with his ‘support’ for AC electrocutions and refused to sell any of his AC generators to be installed in prisons. Edison appears to have funded a phoney company to purchase these so that they could be installed. On May 15, 1889 a man called William Kemmler a.k.a. John Hort, who had battered his wife to death, was sentenced to be the first man to die by electrocution according to the Code of Criminal Procedure of New York. His sentence was appealed first to the County Court and then to the New York Supreme Court as being a ‘cruel and unusual punishment’ and Edison was called to give evidence; evidence which was shown up by a very famous defence attorney called W Bourke Cockran to illustrate that Edison had little or no knowledge of human anatomy or of the biological properties of electricity. Westinghouse had paid for the very high fee-earning Cochran to present the defence in a last-ditch attempt to prevent his AC system being used for executions and the association of AC with “lethality”. Kemmler had paid for the bitter commercial rivalry between Edison and Westinghouse with a protracted, cruel and tortuous death. Despite many more problems with further executions by electricity, including that of Charles E. MacElvaine in February 1892, where Edison’s own proposals for application of electrodes was used, and developing an effective “chair” by 1971 23 US States had adopted electrocution as the desired method of capital punishment. 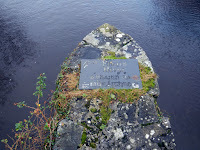 On the 1 November, 1888 shortly after the New York ‘Electrocution’ Bill had been signed into law, James Perry, an engineer and county surveyor of the western district of Galway, applied on behalf of Galway Electric Company, a private entity he had formed with his brother Prof John Perry of the Royal College of Science in London to generate electricity, for permission from the Galway Town Improvement Commissioners to ‘erect poles in some parts of the town as an experiment for the electric lighting of the Town.’ Proposed by the Major Wilson Lynch of the Galway Militia and seconded by Sir Valentine Blake (14th Baronet) the proposal was adopted. 1888 was the same year that Hertz had succeeded in detecting electromagnetic waves. 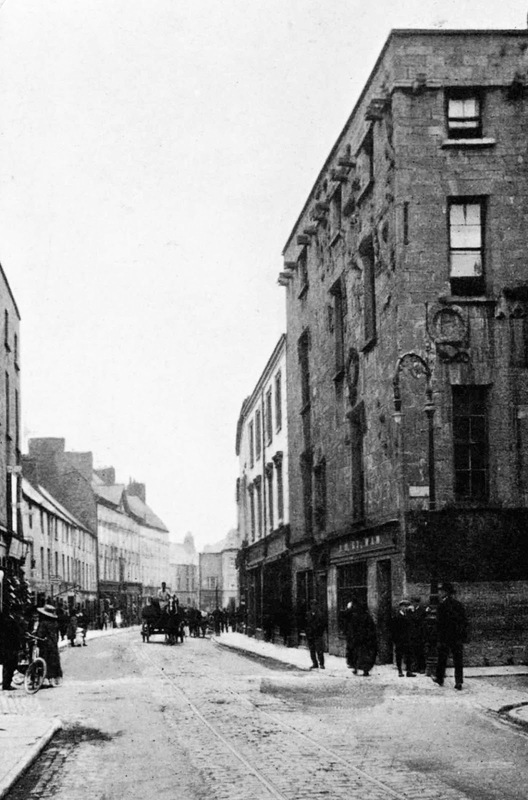 The Galway Town Improvement Commissioners were established under the 1828 Act for the Improvement of Lighting in Towns. In 1841 the Board of the Commissioners took over all of the local authority functions of the Galway Corporation, which had been in existence since 1485, and which was abolished by the Municipal Corporations (Ireland) Act of 1840. 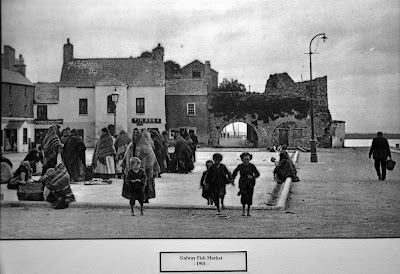 Lighting of the town was a key feature of their deliberations and generally in the 1880s involved entering into a rolling contract with the Galway Gas Company for the supply of the power and then designating where the standard gas-lit Bray Lamps should be erected. James Perry as an engineer and County Surveyor and his brother had recognised very early on that the rapid developments in electricity generation and its application was going to revolutionise both the lighting and industrial sectors. 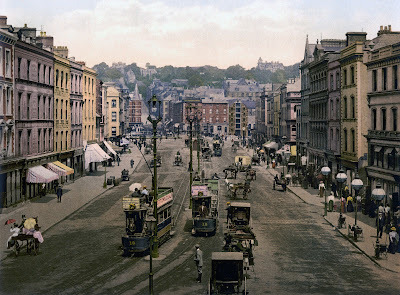 The 1882 Electric Lighting Act introduced to legislate for the new companies bringing electricity to the market had been very prohibitive to those entrepreneurs establishing companies as all investors were required to sell their assets back to local authorities after 21 years. An new Act of 1888 eased these restrictions and extended the buy-back time period to 42 years and also required the Government to purchase the assets as a ‘fair-market’ value. Encouraged by this development the new Galway Electric Company bought an old flour-mill, which had existed since the 1600s and which straddled the eastern conduit (Friars River) of the Corrib river in the Newtownsmith part of the town in May 1888. They installed a hydroelectric turbine in the watercourse which was then linked to a generator producing alternating current. 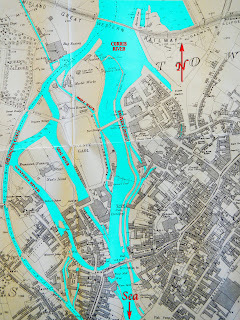 locations of Perry's and the University's hydroelectric stations, both situated in old flour mills. There is no documentation available as to the type of turbine and generator the Galway Electric Company installed but most likely, given that it was also adopted by the later University scheme, to have been a Francis Turbine linked to an early Siemens or Ferranti AC generator. The company started off with a private-scheme customer base of about 59 houses and this was the reason for their application to the Commissioners for the erection of poles to deliver that current to their customers. 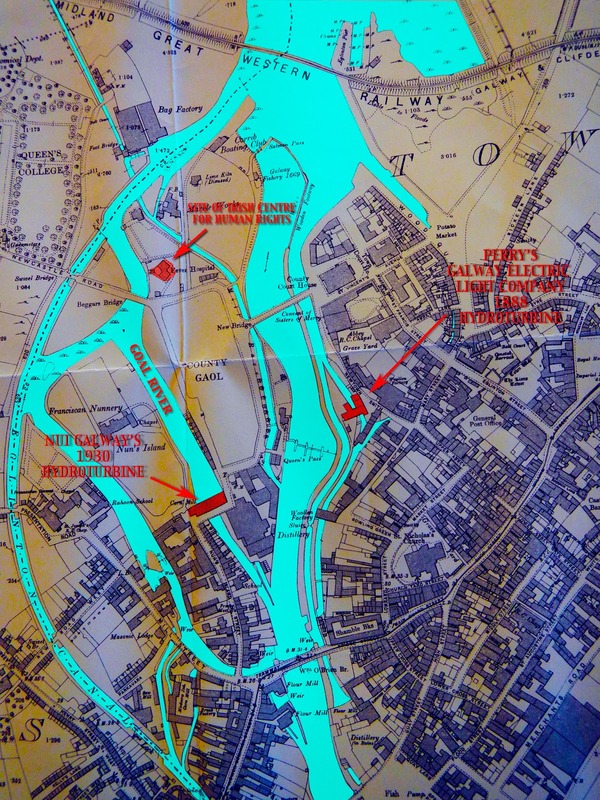 It immediately entered into competition with the Galway Gas Company where public lighting was concerned and the first victory in this battle was in March 1890 when Galway Electric Company were awarded the contract by the Galway Harbour Commissioners to light the port and docks area at a cost of £40 per annum. The minutes of the Galway Town Commissioners detail conflict over whether underground or overground delivery should be promoted and the disruption subsequently caused by both the gas and electricity companies digging up the streets. The Fishmarket, Spanish Arch, Galway 1903. In 1896 the gas v. electricity 'war' was reaching its 'boiling-point'. 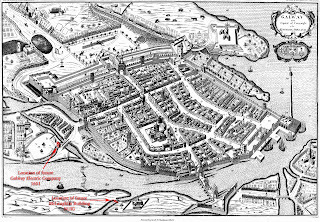 Galway Electric Company in that year were granted a Provisional Order, sanctioned by the Board of Trade, for the supply of electric light to the town of Galway itself. 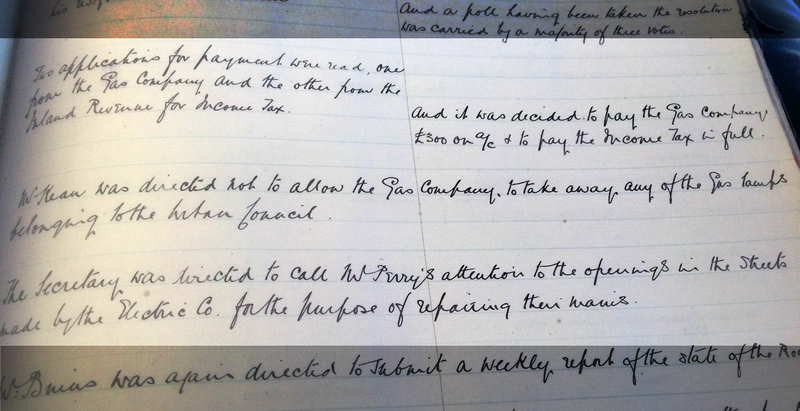 This induced the Perry’s to incorporate the Company but before floating it they asked the Town Commissioners to exclude the Salthill area from the Order as it would prove an impediment, based on cost estimates, to a public listing of the company. This request was acceded to by the Commissioners. 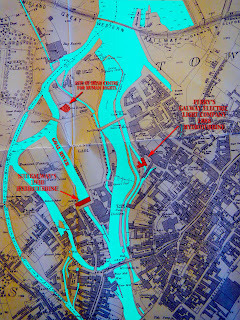 By September 1899 when the Galway Electric Company Ltd. submitted a detailed plan and map for a new mains supply and although the installation work proceeded very slowly the battle between Galway Gas Company and the Galway Electric Company Ltd. for the public lighting of Galway was as good as over. 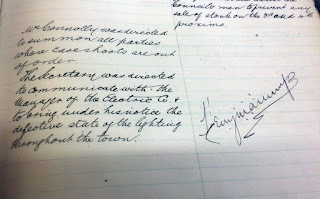 Galway Town Commissioners Minute Book 1904. 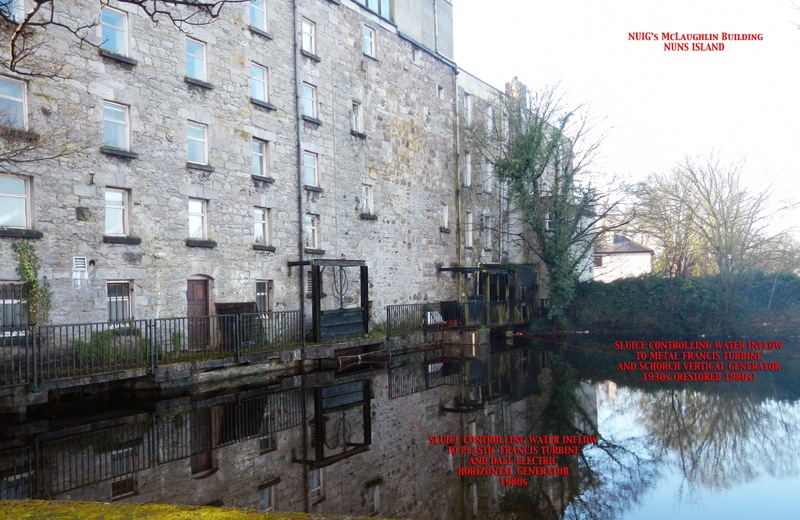 Galway Electric Company to get on with their work of installation. 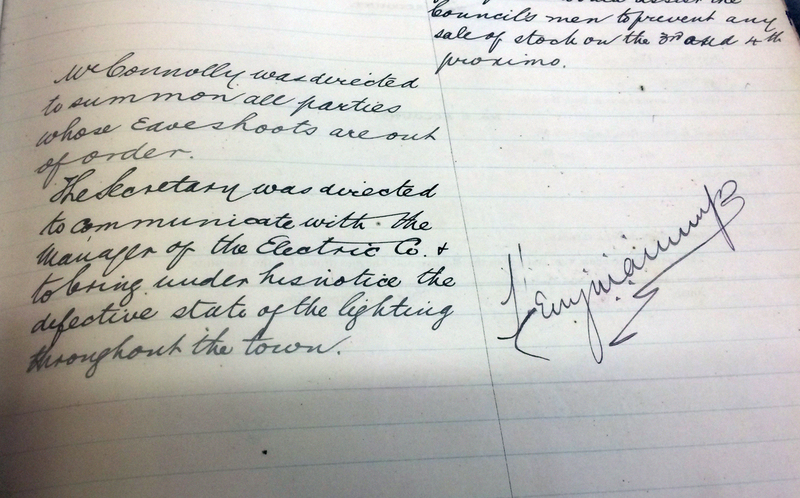 Galway Town Commissioners Minute Book 1905.
the state of the roads due to their works. 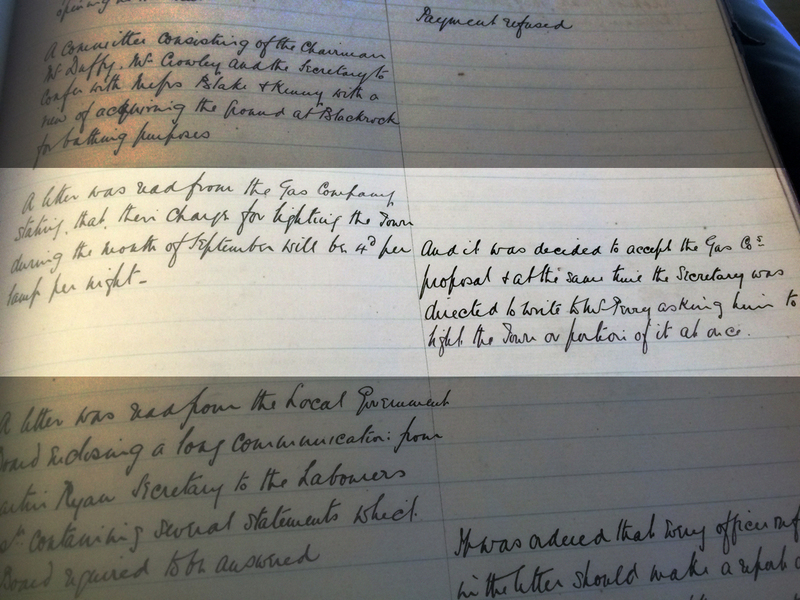 Galway Town Commissioners (UDC) Minute Book 1907. Admonishment of Electric Company's 'defective' lighting about the town. The scheme was almost fully installed by 1906 but not to everyone's satisfaction! Galway Electric Company's hydroelectric generating station. James Perry died in November 1906 a month after seeing his daughter Alice Perry obtain a First Class Honours degree in Civil Engineering, the first female Engineering graduate of any University in the then British Isles. 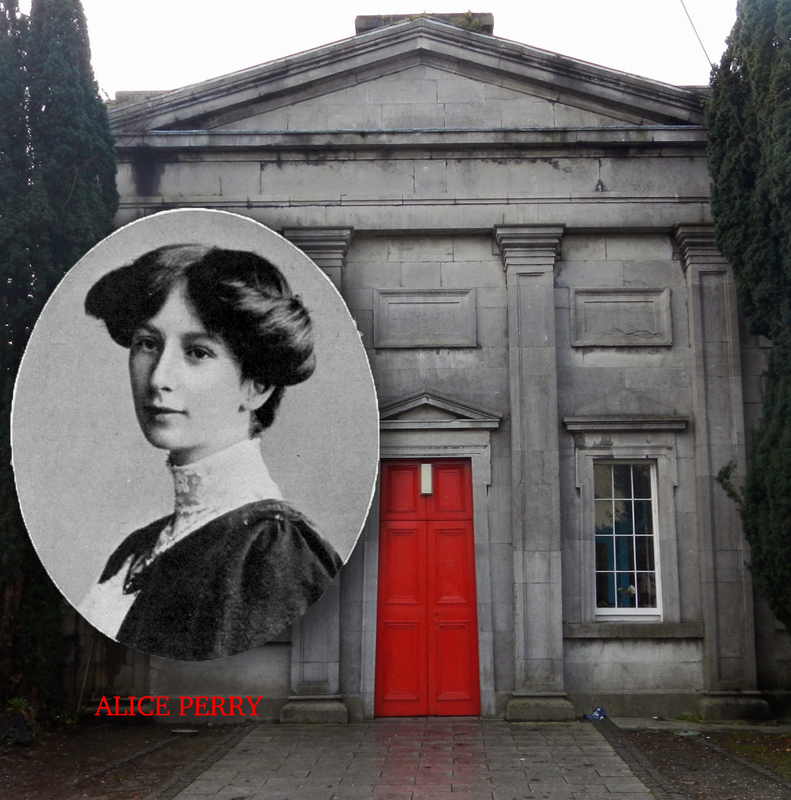 She took over her father’s duties as County Surveyor until April 1907 when a ‘male’ replacement was chosen. In 1929, two years after the legislation establishing the Electricity Supply Board was formalised, Galway Electric Company was serving 1017 consumers in a city with a population of 14,000; it generated 745,290 units of electricity per year and sold 474,135 units at an average cost of 4d per unit and employed 19 people. 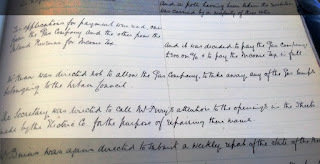 In May of that year Major Sam Perry, James Perry’s son and Managing Director of Galway Electric Company announced that because the supply of electricity would soon be taken over by the ESB the company would not be investing in any further infrastructure or taking on any new customers. Notice by Galway Electric Company of a wind-down in operations 1930. 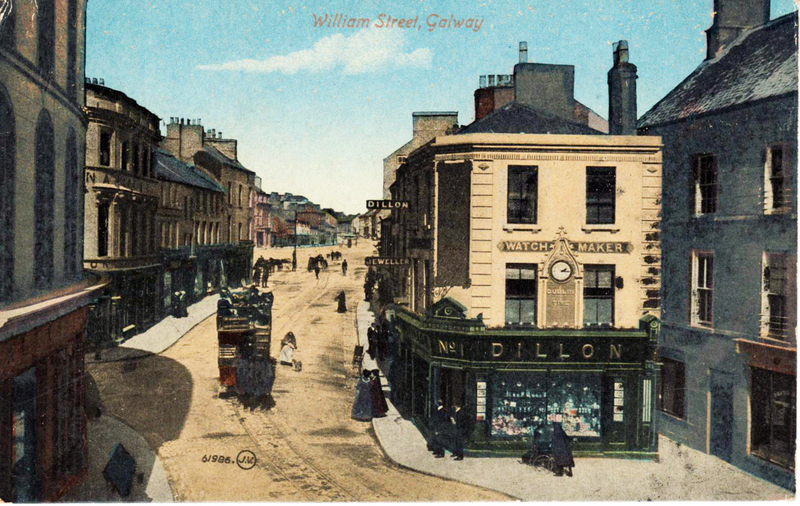 The ESB subsequently acquired the premises and shortly afterwards the Galway Electric Company ceased to exist. 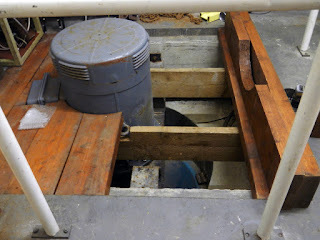 In the following year 1930, perhaps in order to maintain an expertise in small scale hydroelectric generation and perhaps as a homage to the Perry family and their connection with the University, University College Galway engineering school installed a Francis turbine manufactured by Craig & Son in Belfast and a generator in its McLaughlin building on the Gaol River. 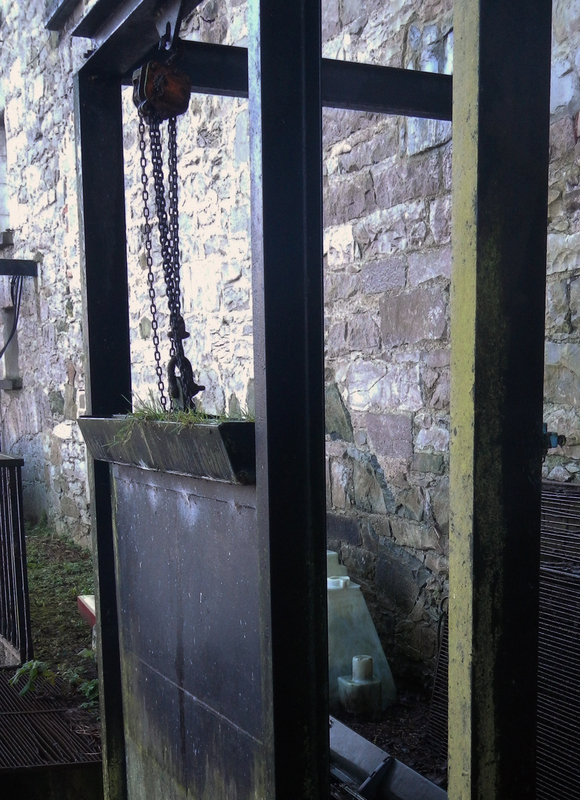 In the 1980s a second plastic Francis turbine was also installed on a separate watercourse. To end this particular journey around the waterways of Galway on a more poignant note I wanted to highlight, in the lost history of the waterways, a strange twist of fate and a death by electrocution, by a connection between Galway’s electrification by Galway Electric Company and Thomas Edison’s cynical promotion of AC as the power-supply of choice for electrocution as a capital punishment. A Leopold W. Heath had been a student of Prof John Perry in London and after graduation in 1892 Perry arranged for Heath to come and work in the family’s Galway Electric Company. In 1900 after a few years back in England he returned briefly as manager of the Galway Electric Company only to leave again in 1902 to work for the General Electric company in Schenectady New York. General Electric was the company formed by the 1892 merger of Edison General Electric and Thompson-Houston Electric companies. On the 3 July, 1902 Leopold Heath died as a consequence of being electrocuted by a defective switch in the company laboratory, perhaps the same laboratory that Edison had leant in 1889 to the Medico-Legal Society delegated by the New York Commission into a humane form of execution for them to undertake their studies. It is not stated in his obituary whether it was an AC or DC power supply that killed him!! 1930 turbine in the NUIG McLaughlin Building. Looks very like a guillotine! !